If what you are looking for are great locksmiths, you are in luck because you have just found them! Hiring a professional and experienced locksmith is essential if the safety of your home or business premises is to be maintained. Need a reliable and fast residential locksmith service in Dallas, TX? call us and we will be quick to deploy a locksmith to your location in 15 to 20 minutes of calling. Enjoy our high-reliability residential locksmith services provided by our fully trained and licensed technicians! We can provide you peace of mind you’re longing for through helping you efficiently secure your valuable belongings and loved ones as well. We are just working with high-quality locksmith replacement parts and the newest techniques in residential locks and keys. We can suggest the most appropriate safety solutions for your personal need and we manage the whole thing from lock re-key, lock repair, fresh lock set up or replacement, to keying, key duplicated as well as emergency residential lockouts. Our main objective is to significantly make the work of homeowners easier and ease a remarkable deal of the pressure a worn lock in your house could trigger. Our licensed and qualified residential locksmith staffs know precisely how to manage these issues. And they perform it in exchange for the lowest rates in the field. With Dallas Residential Locksmith, expert the most dependable keys and locks professionally offered by the polite and well-mannered staff, which will get to you right away, regardless of where you are in Dallas, TX. 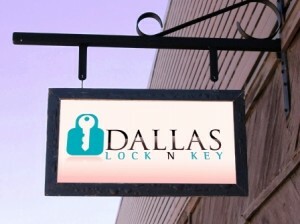 We offer professional locksmith service for a very competitive price in Dallas, TX. We just use locksmiths who are authorized and licensed to service your car lock and key issues. Our expert team of Dallas locksmith for automotive offers a hassle-free and quick service that most favorably have some of the most reasonable rates. Our broad or wide coverage allows our technicians to reach our clients at their emergency location in just a matter of 20 to 30 minutes of calling. Dallas locksmith teams of automotive locksmiths’ takes account of professionally trained and fully licensed and insured individuals. Our auto locksmiths are armed with advanced tools and their individual experience in coping with the most efficient technique in the business to date. We take pride in the professionalism and quality of our auto locksmith service and we aim to constantly keep up with the newest developments associated with a key, lock, ignition repair, transponder key and complicated repair methods. Need a reliable and fast Automotive Locksmith in Dallas, TX? Call us now!